Immersed within 15 acres of Costa Rican cloud forest, El Castillo de Relajamiento is a collection of seven cabins overlooking the vallies of San Ramon and the Gulf of Nicoya. The hide-away location offers you the ultimate in peace and relaxation, with the ever present and tranquil sounds of birds and various other animals encountered while resting in your cabin or walking the local trails. Each picturesque cabin is approximately 550 sq ft (51 sq m), ideal for a small family. Each cabin features one of the following 2 bedroom arrangements: both with queen beds, or one with queen bed and one with queen/single bunk set. Other features include a large living room, small gourmet kitchen / kitchenette, hot water, satellite television, and wireless internet access. There is also a common area “The Rancho” that can be use to gathering friends for a private party, lunch or just sitting to to read a book listining the bird singing.
. The service staff is bilingual, and promises to provide you the best possible care during your stay. 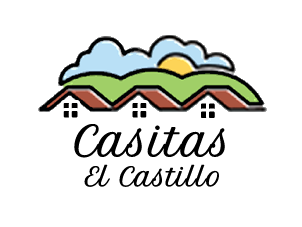 The central location of El Castillo de Relajamiento provides for your quick travel to beaches, volcanoes, dry forests, tropical rain forests, cities of historical and shopping interest, and family-fun spots. Venture out on your own, or make the most of your visit by taking advantage of our : good advice of where and how to go from our property manager Cesar Carrillo. 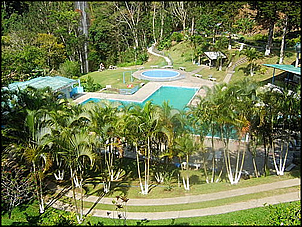 Costa Rica is a place you must see, and El Castillo de Relajamiento is the place to stay and relax during your visit. Contact Cesar, our Property Manager and activity coordinator, today to arrange your next vacation with us ! Family activities may be an important consideration to your visit, and El Castillo de Relajamiento is central to family-fun spots. In the local town of Santiago, less than 5 minutes away, you can find a large soccer/football field and basketball court, open 24 hours a day. In San Ramon, less than 10 minutes away, Las Musas provides a wealth of outdoor activities with pools, soccer fields, volleyball courts, playground, cookout areas, and a magnificent waterfall, for which it is best known. 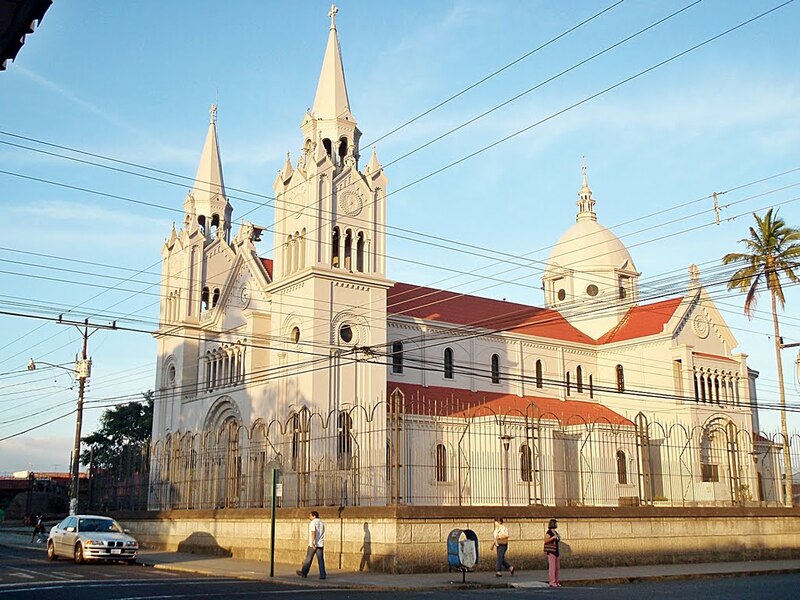 Also within San Ramon, you will find the Central Church of San Ramon, many excellent restaurants (Rincon de Poeta, Mi Choza, Mi Casita, El Jardin, Las Tinajitas, Café Delicias, and Nescaffe to name a few), numerous shops, a variety of banks, a shopping mall, and three screen theatre. Just north of the main square is the Museo de San Ramón, which showcases the important role the city has played in Costa Rican history and culture. Known as “the city of presidents and poets”, San Ramón has been home to many of Costa Rica’s great political and literary figures, such as former President Jose Figueres Ferrer, who abolished the country’s army and granted women the right to vote. 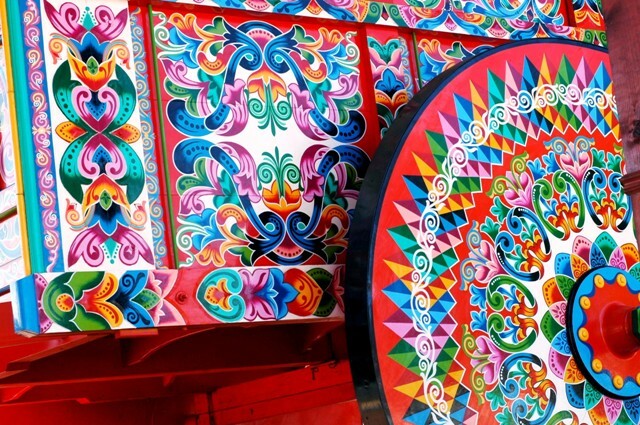 Sarchi is another city to see, considered as the major craft-making center of Costa Rica. This small town is one of the best places to visit for souvenirs, arts, craft, woodwork, and any other reminders of your visit to Costa Rica. The small town is divided by the Tojas River into north and south quarters and stretches for several miles. The main plaza in North Sarchi features a twin-towered church, restaurants, and a few accomodations.